If you have decided you want a career in banking, you are in for the ride of your life. The financing world is notorious for the high level of difficulty when it comes to securing a position in a bank or other type of financial institution. Apart from that, studies show that there are approximately ten candidates per position in this sector. Therefore, if they will select you and you do get called in for an interview, you need to prepare. In fact, I cannot stress enough just how prepared you need to be. Banks are also famous for only hiring the best people they can find. You need to have attended an Ivy League college and have a degree in the field. You must be sociable, likable, and very attractive as a person. Therefore, how do you let all of this transpire in an interview? 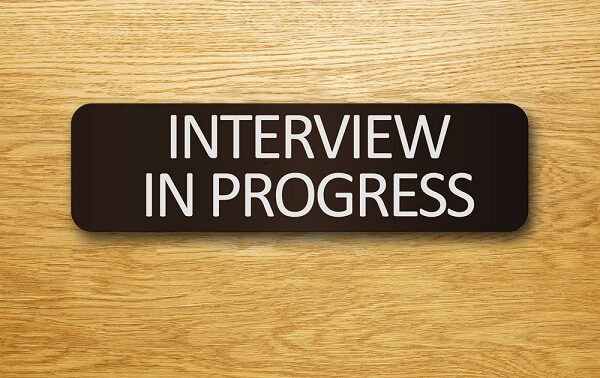 The big question we are tackling in this piece is how to answer interview questions. Without much further ado, here is a comprehensive list of the most common questions interviewers ask candidates when they apply for a banking position. Some are entry-level while others are a lot more elaborate since they belong to the upper tiers and jobs in the financial hierarchy. 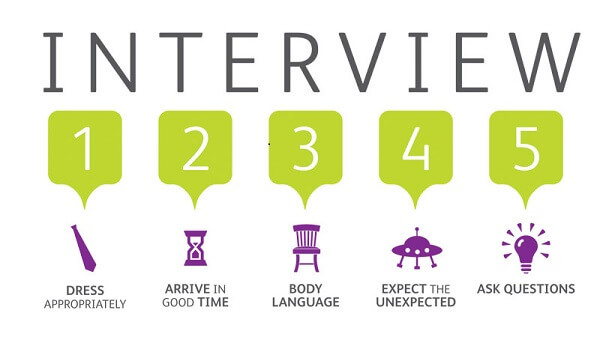 In this way, you can be prepared for your next interview, no matter for which position you are applying. As a bonus, I’ve also added suitable responses for the questions, as well as practical advice, tips, dos and don’ts. I have divided all the questions into batches. The ones that make up a batch are more or less going for the same type of information. #4. What Do You Know About the Current Market? #5. How About Your Experience? As you might have imagined and just like with any other line of work, this batch of questions is the first that comes up during an interview. They might sound a bit redundant to you at this point, but you will soon find out they are not and that knowing how to answer interview questions related to this is, in fact, harder than you thought. As stated above, you’ll get this question in an interview no matter in which domain you want to work. Why teaching? Why IT? Why construction? However, none of these interrogations weigh as much as ‘why banking’ does. Working in the financial realm is infamously hard work. The hours are long, the volume of work is large, and the stress and level of responsibility are through the roof. Therefore, when the interviewers ask you the ‘why banking’ type of questions, they, in fact, want to find out if you know what you’re getting yourself into. They also want to know if you have prepared for this and if you won’t walk out on them after a month. What attracts you to a career in banking? Be original and very precise. Do not give generic answers because they won’t like it. Talk about financing like it is your life-long passion and do not say you are in it for the money. Explain to them that banking seems very rewarding to you, not in the financial sense, but on deeper levels. You get to work for a big bank, have an incredible career, travel, and meet interesting people. You like strategic thinking and financial planning and you are attracted more to this than to consulting or modeling. Also, never, under any circumstances say you want a job in the finance industry because of the movies Wall Street: Money Never Sleeps or The Wolf of Wall Street. If you want to learn how to answer interview questions, this is unquestionably the wrong way, especially when it comes to banking. It will make them think you are immature and naïve, having been lured by a non-realistic presentation of what life on Wall Street is truly like. What type of lifestyle are you expecting to have in banking? Be careful, because this question about lifestyle is a tricky one. They want to get two things out of this. First of all, they want to see if you’re in it for the money and, second of all, if you know and, consequently, are prepared to work hard. Do not say you expect to buy a boat before the age of thirty as this is not what they’re going for. Do not rely on stereotypes when answering this question. The chief preconception the entire world has related to the financial domain is that the employees work night and day and, at some point, give in to fatigue and drug abuse. They get sick quickly because they are cooped up in their offices all the time and their bosses treat them horribly. Evidently, this is not true. The working hours are long, indeed, but no so much as to make you sick. Apart from that, do not generalize. The bank you are applying for may have a very light policy when it comes to that. Therefore, they might feel offended by your remarks. What would you rather be doing if it wasn’t for finance? You need to tread lightly when answering this question. However, don’t worry, because there is a clever way of getting around it. Not only will be able to respond to such a tricky question but you will also be putting yourself in a very favorable light and distancing yourself from other candidates. One thing not many people know about a financing job is that the big banks don’t look for the stereotypical accountants who work ten hours, go home, get some sleep, and start all over again the next day. Given the fact that they have big accounts, owned by rich, successful people, they must delegate a person that is up to par. In other words, it’s highly recommended if you have hobbies and passions other than your financing career that you pursue actively. 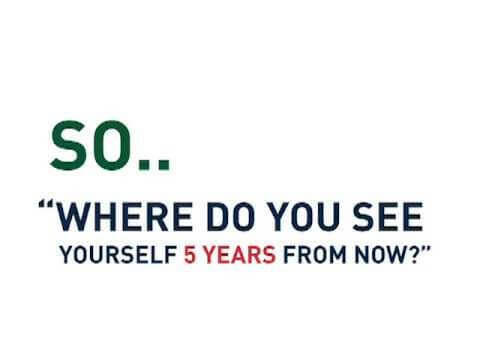 When they ask you this question in an interview, say that you wouldn’t be doing anything else, because financing is your dream, but that you do have a plethora of passions to which you always return for relaxation and a healthy and balanced lifestyle. Say that you have taken a sommelier course, learned yachting, or that you have a jazz band on the side with which you play from time to time when the mood strikes. Thusly, not only will you have a great answer to give to this question, but you will also show them that they can rely on you to handle business with wealthy and successful people, who also typically share these passions. The second batch of topics in our ‘how to answer interview questions’ guide revolves around you detailing the reasons why you chose a particular bank. Research is critical here. The reason most people fail at a banking interview is that they don’t take the time to research the specific company to which they are applying. Keep in mind they will ask you specific details and that you must know them. In the last 12 months, our bank has completed a few significant deals. What were they? Provided you did your research it should be easy to answer this one. Do not go into too much detail. Otherwise, you will come off as trying too hard. Just a few pieces of information suffice for them to understand you know what you’re talking about. In your opinion, what are this company’s or division’s strengths and weaknesses? Focus on the strengths but do not neglect the shortcomings. A paramount tip here is to point out a few negative details and give a solution. Differentiate yourself from the other candidates by being proactive and showing them you have given their company a lot of thought. The interviewers will see they can benefit from your presence in the firm in more than one way. Can you, please, describe our business model? Take your time and tell them everything you know. Speak clearly and try not to babble or lose yourself in the speech. Seeing as this question will, mostly likely, come up in the interview, prepare the answer a few days ahead. If need be, learn it by heart, rehearse it, and use a friend to act as the interviewer. Do you know who our CEO is? You would be surprised how many candidates overlook minor details such as this one. Learn all there is to know about him or her, not just a name. 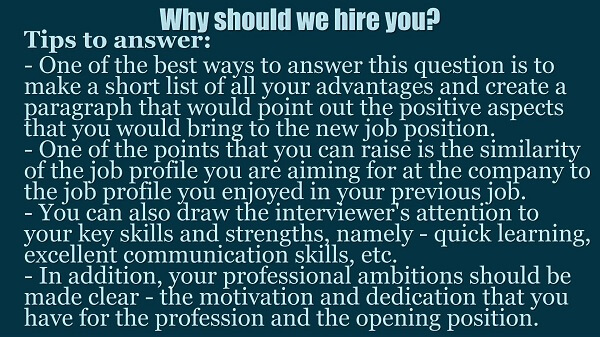 Give a few details to your interviewer and tell them why it is you like the CEO and his business. When confronted with this question, forget everything you’ve read in other guides on ‘how to answer interview questions.’ It’s very easy to be out of line when speaking about this. Act and answer professionally and in a mature way. Brainteasers are a given in any interview for a banking position. However, don’t feel like you need to prepare for them in advance because they are not about the answer. In fact, as a former Goldman Sachs associate puts it, it’s all about the method you use to get to a sharp answer and the solution you can find. Let me give you some examples. How many pigs are there in China? Evidently, they don’t want you to give an exact number. They are interested in seeing what ingenious solution you can come up with instead of that. In a drawer, you have ten yellow socks and 15 blue ones. They are the same, except for the color. You need to open the drawer and select a matching pair blindfolded. What is the minimum number of socks you have to take out to find a matching pair? The correct answer, in this case, is three. Even if you do pull out a yellow and a blue sock during your first attempt, the third one will match one of the first two. The financial market is forever changing. The social, political, and economic events of the day influence it to a great extent. This fluctuation or, as they call it, being ‘prescriptive,’ is what compels you never to stop learning. Do not stop watching the news and try to stay on top of the current events. When learning how to answer interview questions in banking, it also helps if you study the present day key market metrics and if you can opinionate on market trends. It won’t hurt to have your personal ideas on investments. Here are some examples of questions they might ask you from this point of view. How do you feel about investing in Apple? Do you know what is the current situation in China or Greece? There are some one, five, and ten-year Treasury yields. Where are they? How do you feel about investing in the UK real estate market at this moment? What will happen to interest rates over the next few months? Are you following some stocks? Should I invest in them as well? What do you think will happen to the euro currency by the year 2018? What is the Dow Jones Industrial Average/FTSE for today, at the opening bell? The best tip I can give you here is never to lie on your resume and learn it by heart. Here are some questions they might ask you as well as the possible answers you can give. Can you, please, walk me through your resume without reading it? Needless to say, you should be able to do this without a moment’s hesitation. Apart from that, a crucial thing here is not to recite your resume in a robotic way. Instead, try talking about it casually and giving as many details as you can about your experience, studies, and past jobs. Whenever you mention anything, provide examples to support your choices. Have you worked on any deals in the past few months? If so, can you elaborate? Always be honest. If you are an entry-level employee or simply have not had the chance to work on a deal yet, say so. Do not invent a situation. However, if you did work on a deal, give details about the situation you had to face, how you handled it, the solution you found, the tasks your managers asked you to perform, and, of course, the results. Why are you no longer at your job? As always, this question is one of the most challenging on the list. When you get to this point in the conversation, knowing how to answer interview questions becomes crucial. Evidently, the answer is subjective, according to your personal experience. However, a good tip here is never to say negative things about your former job, colleagues or bosses, especially if your last job was in the financing world as well. There is a strong possibility your former and current employers and colleagues know each other and are on good terms. Thrashing them will not help you in any way. Besides, it will create the impression you are a resentful person who will most likely say bad things about your current employers as well after you leave. Be mature and answer honestly by saying you have outgrown that job or that you wanted to try something else. Did you have any failures in the past? Once again, answer with the truth. There is no working man out there without a fault. Everyone, no matter what line of work they are in, has made one or more blunders at their job. Saying you have never made any mistakes will make the interviewers think you may have something to hide, that you are arrogant or dishonest. Tip – focus on what you’ve learned, rather than on the mistakes themselves. I stated above that most people in the industry know each other or have extended knowledge about competitor banks and financial institutions. It rings true for this question as well. If you lie or make up an accomplishment, they may already know you’re not telling the truth or are able to find out very easily. This batch in our ‘how to answer interview questions’ guide revolves around ethical conundrums. 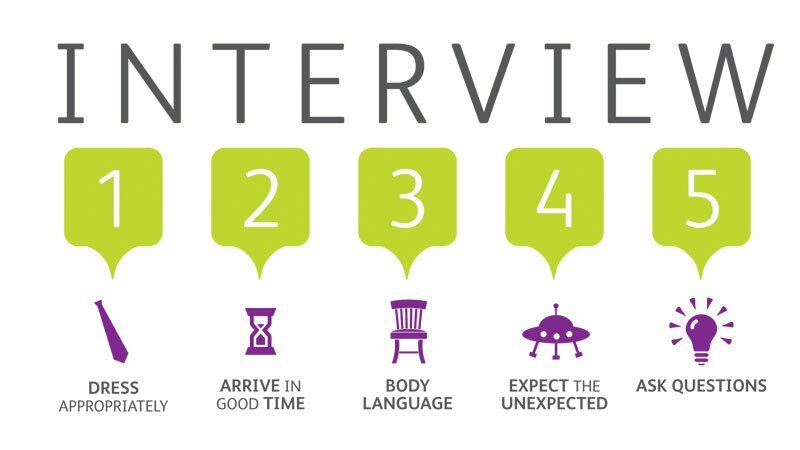 The interviewers want to know how you handle tough situations and if you can process them in a positive way. Have you ever worked with a bad team? If so, did you take an initiative to resolve the issue? Point out a person who you think has moral integrity and tell us why you think that is. Is there a person whom you find credible and why? What kind of leadership style do you have? How would your life be if you didn’t need a job to sustain yourself? Would that lifestyle be linked to the financial realm in any way? Describe yourself in a single word. Do you like to read? If so, what is the latest book you’ve read? How do you feel about taking risks? Did you ever risk anything? How do you feel about stressful situations? Did someone ever ask you to break the rules to get your job done? Why? How did it come to that, if that is the case? How did you handle it? How did you feel about it? It never works, and it makes the interviewer feel bad. Instead, try to answer realistically and honest. Tell them about your plans and dreams, goals and expectations, as well as about your ideas on personal development from a professional point of view. When you’re preparing for an interview in the financial realm, knowing how to answer interview questions could be the thing that differentiates you from all the other candidates. It can also be the step that ultimately wins you the job. Be prepared and learn from your mistakes!